Dive into the data surrounding unsubscribes in retail, such as who unsubscribes, when they unsubscribe and how much their unsubscribes cost in lost revenue. Unsubscribes spell trouble for marketers, but just how much? 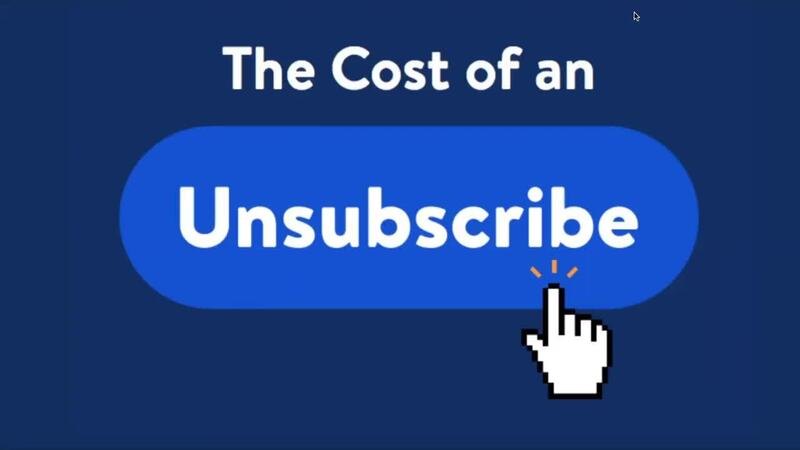 Data from 400 retailers quantifies the cost of an unsubscribe and reveals common patterns. Get an inside look at how retailers have partnered with Bluecore Data Insights & Strategy to turn their insights into cash cows, and how you can do the same. For retail marketers, there are few things worse than the unsubscribe. But just how much trouble do unsubscribes cause? Data from 400 retailers tells all.